The mild weather has enabled construction to continue through most of the Winter. Signs are up for the b.good restaurant which is now adjacent to The Great Road. 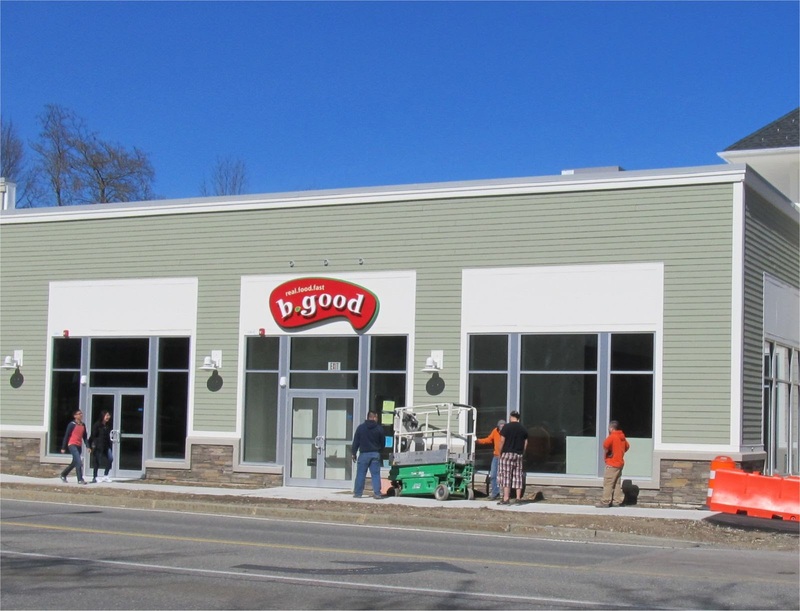 b.good's new location includes a dedicated area for Outdoor Dining. 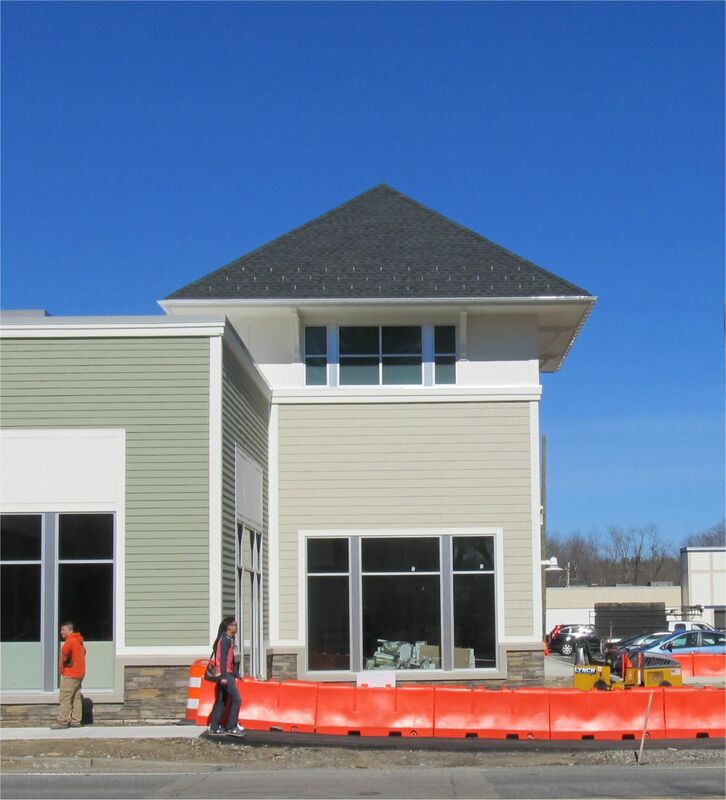 The restaurant is expected to open in late Spring. 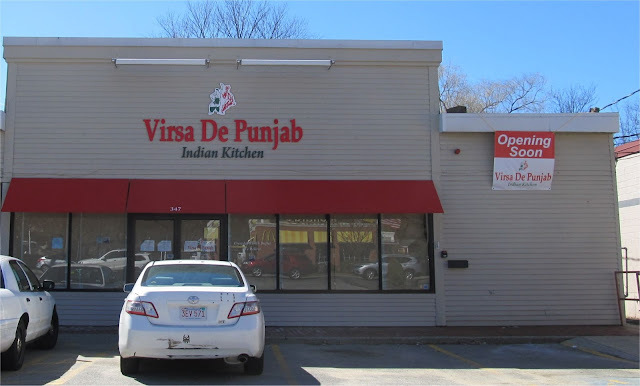 Virsa De Punjab which is replacing FireBox, is expected to open within the next two weeks. 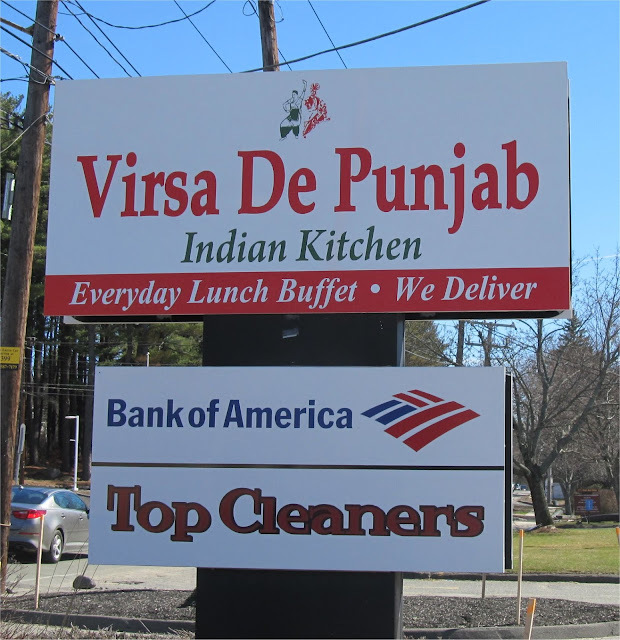 The new Indian Restaurant will have a Lunch Buffet and include delivery. This new sign replaces the temporary bright yellow sign. Work continues on the 4th location for Elite Freestyle Karate. 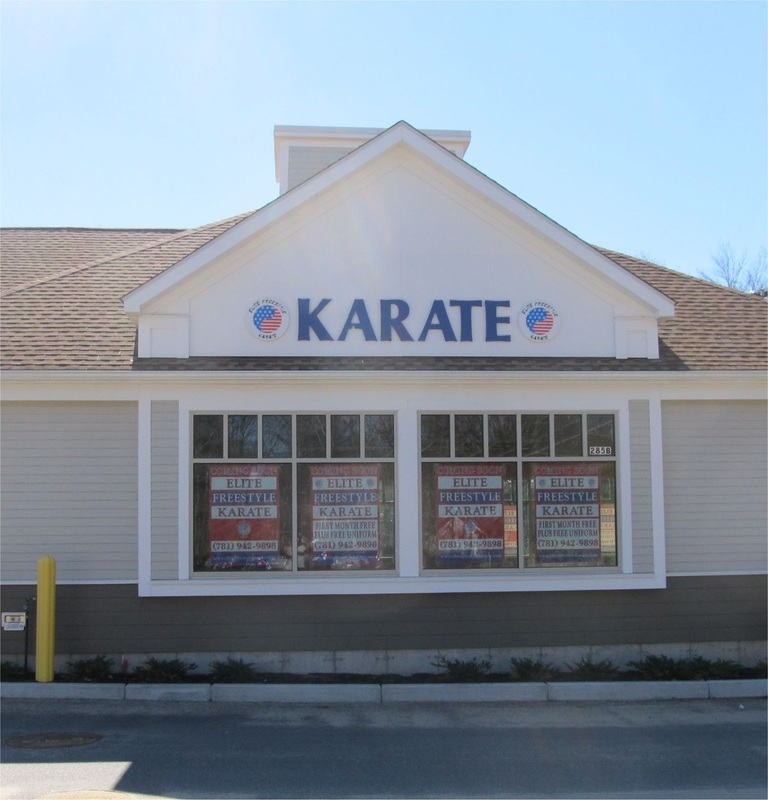 Located next to Salem Five bank, the new Karate studio is expected to open by the end of April. 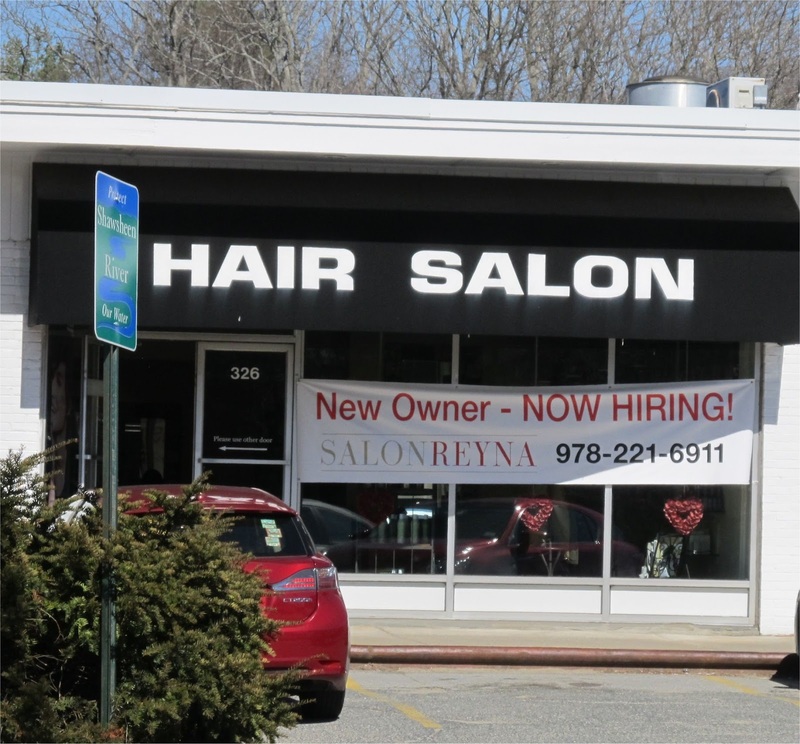 Salon Reyna replaces Designs Unlimited at 326 Great Road which is adjacent to Bedford House of Beef. The new Salon also has locations in Burlington, Concord and Lexington. 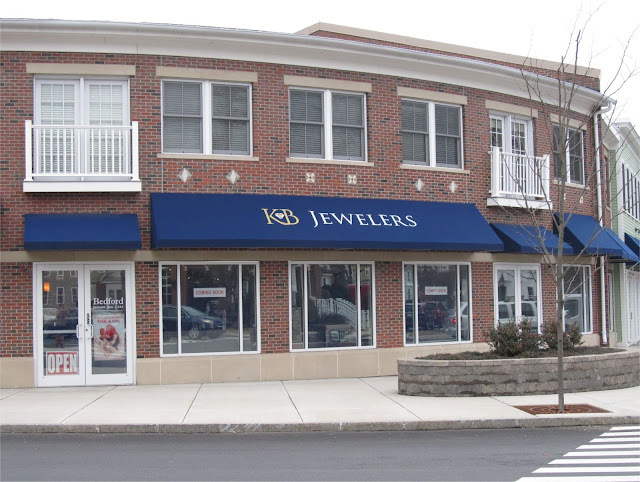 KB Jewelers opened earlier this month at 68 Great Road which was the previous location of Bedford Rug. 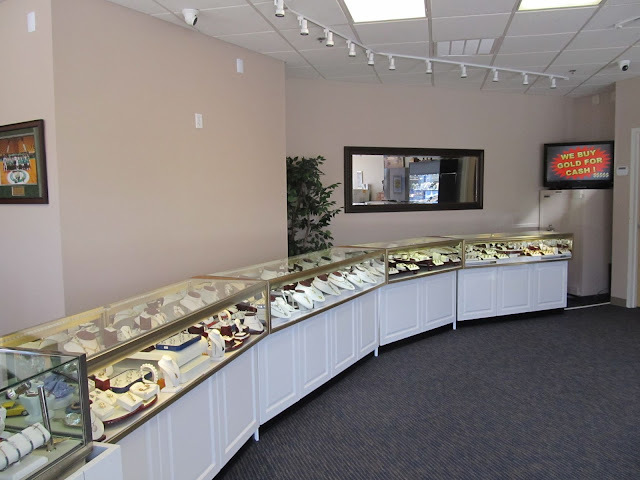 The new showroom is much more modern and open. The next few months will feature a lot more businesses opening in Bedford including Body Boutique, Bruegger's Bagels, Comella's, El Colima Mexican Restaurant, Learning Express, Private Kitchen Cafe, Subway, The Orange Chair, US Post Office and more.